...it's always tea-time...: BENJAMIN FRANKLIN. 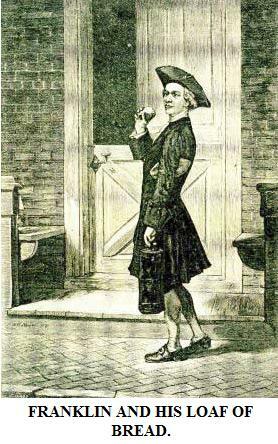 Benjamin Franklin, born in Boston in 1706, when a boy laid down certain rules of conduct which he always followed. He made up his mind to be temperate, orderly, frugal, and industrious. 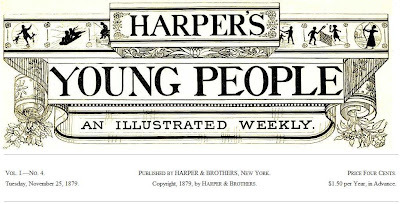 When ten years old, he cut wicks for candles, minded the shop, and ran errands for his father, who was a tallow-chandler. He did not, however, neglect his books, for he tells us, "I do not remember when I could not read." Though no boy ever worked harder, he was fond of manly sports, and was an expert swimmer. Not liking the tallow-chandlery business, his father apprenticed him to a printer. This was precisely the kind of work which suited Franklin. When hardly eighteen years old, he was sent to England to buy printing material, and to improve himself in his trade. As a printer in London, a very young man, entirely his own master, with no friends to control him, surrounded by temptations, those rules which he had fixed upon early in life were of singular benefit to him. Returning to America in 1726, in time he opened a modest printing-house in Philadelphia. Industry, honesty, and good work made him successful. He became member of the Assembly, Postmaster, and during the Revolution, while in France, induced that country to espouse our cause. If to-day the world has to thank Americans for making electricity their servant, Benjamin Franklin first discovered its most marked qualities. With a kite he brought down the spark from heaven to earth, and held it under control. Franklin died, honored by all his countrymen, in 1790. When a lad, hungry and tired, he landed in Philadelphia with a dollar in his pocket, he bought some bread, and marched through the streets munching his crust. He happened to see a young lady, a Miss Read, at the door of her father's house. He made up his mind then and there that he would marry her; and so in time he did. 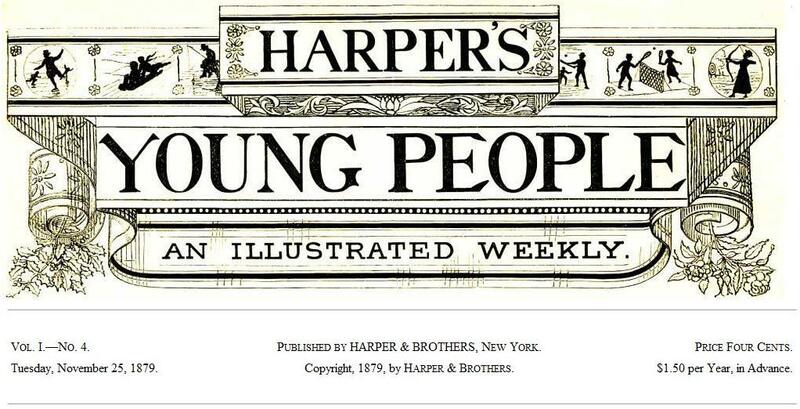 Strangely enough, that exact part of New York from whence Harper's Young People is issued is called Franklin Square. Tack för historielektionen. Nu har jag lärt mig en hel del som jag inte visste förut. En intressant snubbe. När jag i söndags la' ut "För 278 år se'n"
hade jag ännu inte hittat den här artikeln. Kanske skriver jag mer om honom framöver.